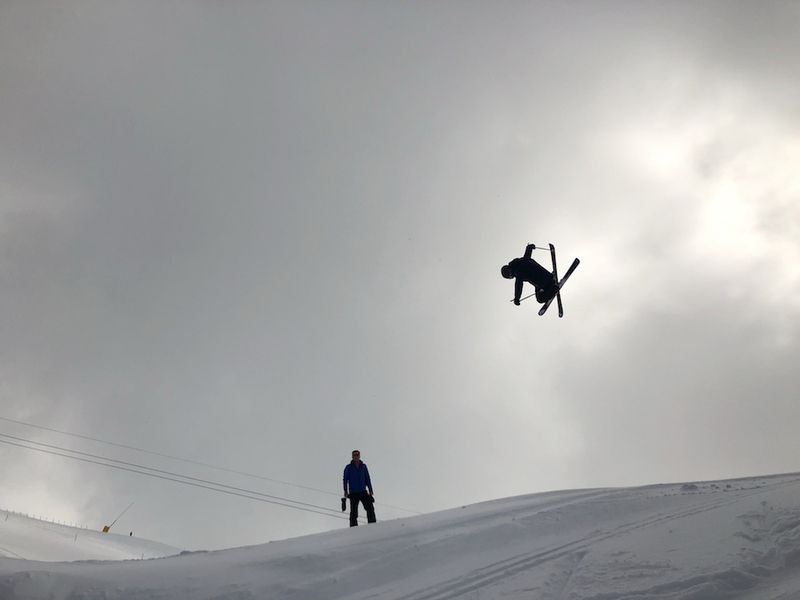 I’m in Crans-Montana for a few days, checking out the resort (in which I’ve only skied two odd days in the past 12 years) and testing out its new ski touring routes and the opening of the new Alaïa Chalet action sport facility (more on those in a second blog). Crans-Montana is in Valais, two and a half hours from Geneva and (as the crow flies) almost directly across from Verbier, Nendaz and the Four Vallées. The resort is south facing, but it’s high – and the skiing we had yesterday (Tuesday 29 January) was about as good as it gets. A mix of powder and piste, on some Swiss Stöckli race skis (I have to be forcibly removed from my freeride all-mountain Völkl 100Eights), as well as time in the snow park rubbing shoulders with Robin Briguet — Crans-Montana ambassador and freestyle skier who represented Switzerland at the 2018 Pyeongchang Winter Olympics. On Monday night, after our arrival, we fueled up at the Burger Lounge — my chicken and avocado burger with raclette and sage fries was probably the best burger I’ve ever had. Followed by a homemade banana split rum shot (topped with cream) and it almost became the best meal I’ve ever had. This place is popular – all the tables were booked – so reservations the day before, or a couple of days in advance are recommended. Tuesday dawned with fabulous conditions – the best they’ve had yet this season. It had snowed over the weekend and it was a chilly -8c making for cold, dry powder and pistes in excellent condition. 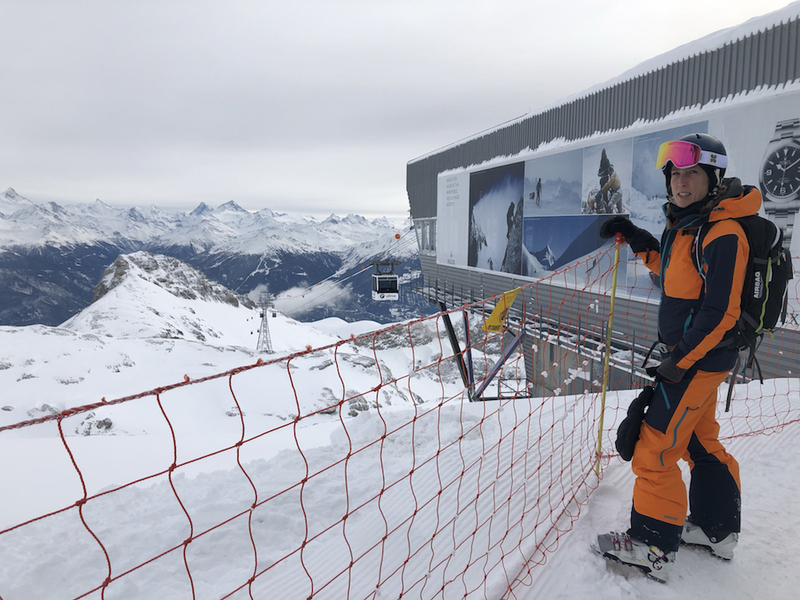 After a hearty breakfast in the three-star Hôtel Elite, which has recently been refurbished by its very friendly family owners, we headed up the Crans gondola, then to find some powder on the Bellalui slope. Skiing left to take the Nationale Express, we opted for powder again, in the trees to skiers left of the lift before taking the Nationale up to the snow park for our rendez-vous with Robin. Julien Cave our instructor and guide is a French snowboarder who competed in the 2011 World Cup snowboard big air, and while Robin did a couple of warm-up runs through the expert snowpark, Julien ran us through the beginner’s park — where I even attempted a couple of jumps myself. The conditions were too good not to. Julien teaches mountain biking during the summer, but when Alaïa Chalet opens at the end of this month he is going to be a part-time extra coach at the freestyle facility. 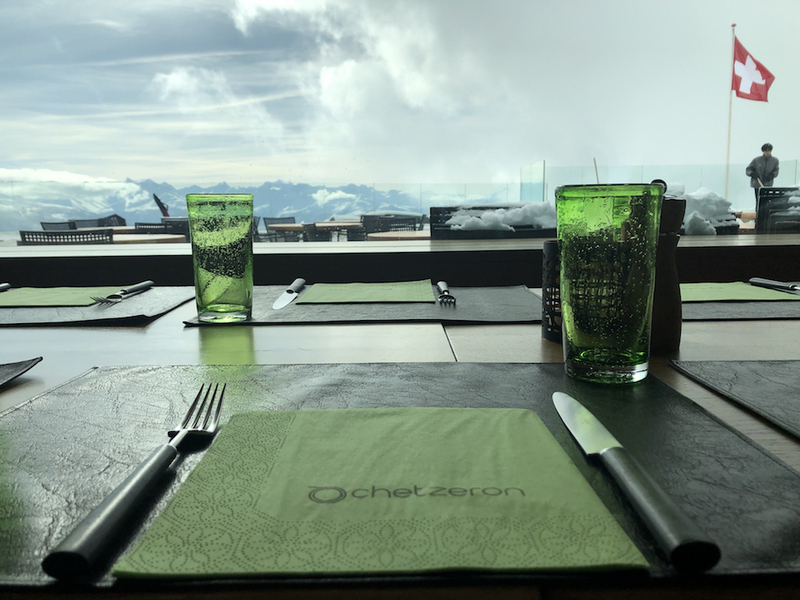 We stopped for lunch at the Chetzeron, a luxury hotel set in an old lift station with stunning south-facing views over to Anzere and across to Nendaz. The restaurant opened nine years ago and the hotel in 2014, since which time the management team has been adding bits and pieces — such as the swimming pool. It’s rightly proud of its food and the Argentinean head chef buys all her produce directly from producers — including polenta and chick-pea flour for gluten-free bread from the north of Italy. I’m not a star spotter but during our lunch the Swiss Demo team came in to eat, as well as British pop singer Pixie Lott, along with her boyfriend and entourage. It’s clearly the place to be. 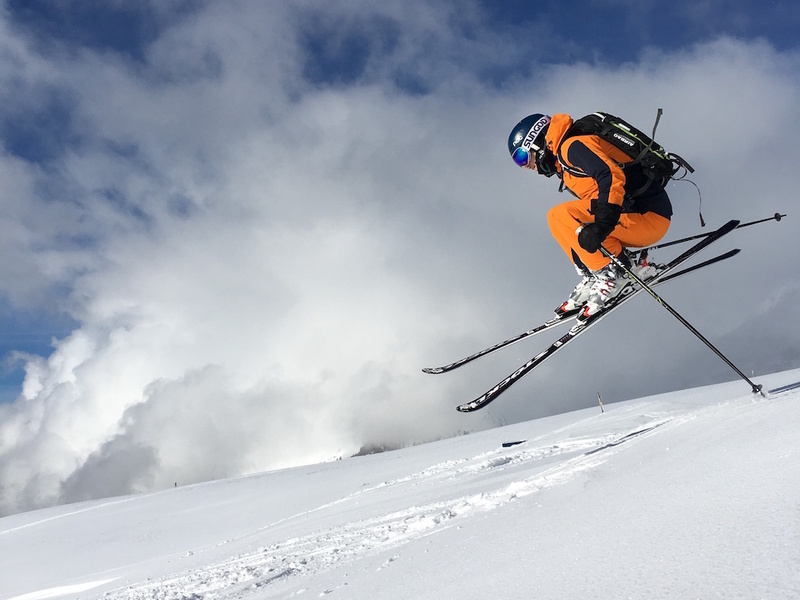 After lunch we headed straight to Barzettes, down the Women’s World Cup run — Marmottes – on which it is terrifying to know that the world’s top female Alpine racers reach speeds of up to 140km per hour. Up the Violettes Express and then Funitel Plaine-Morte to the glacier at the top — with more stunning views. If you really like it here, you can pay CHF420 for an igloo experience run by Swiss explorer Mike Horn or, just look at the igloo to feel the chill (as we did) before heading down the mountain, blasting away the cold air in pretty tree-lined runs that lead all the way back down to Barzettes. By now it was 4:15pm and we were running late for the Nationale Express chairlift (which stops at 4:30pm) that would take us back up to Cry d’Er and down to the Crans section, from where we could grab an apres-ski drink at ZeroDix, sitting on sheepskin-lined benches under heaters, enjoying a very fine vin chaud. Tomorrow it’s ski touring, exploring the resorts new 40km of front-side routes — and checking out Alaïa Chalet.